Dotted Border from Monday night here in Stevenage, North Herts. Not a particularly common moth here this being the 20th garden record in 6 years. Trap covered over now until we get some milder weather. 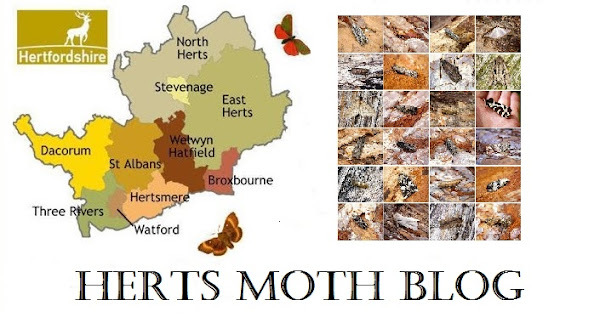 Just 3 other moths were recorded, with singles of March Moth, Satellite and Oak Beauty. Trap is currently wrapped up awaiting a blizzard!